Scheinbar hat Kolumbien soeben für 36 Gripen E unterschrieben und bezahlt anscheinend 4,5 Mrd. USD. Das wären 132 fixe Bestellungen und es schaut gut aus, dass da noch andere dazukommen. Mit dem Geschäft rückt allerdings sehr wahrscheinlich ein mögliches Lieferdatum an Österreich (siehe Wunsch der SPÖ, den EF abzulösen) um mind. 1 Jahr nach hinten. Kann irgendjemand spanisch? Der Artikel wäre ganz interessant. Die Verhandlungen mit den USA für die F-16 waren weit fortgeschritten. Mit SAAB wurde ca. 12 Monate verhandelt, das erste Flugzeug soll schon in den nächsten zwei Monaten an die Fuerza Aérea Colombiana geliefert werden (!) - das muss ein Fehler im Artikel sein. Ausschlaggebend zur Vergabe an SAAB waren ein besseres Technologietransferpaket (u.a. der Erhalt der Software zur eigenständigen Integration neuer Waffen und Verbesserungen der Software) und lockerere Zahlungbedingungen. 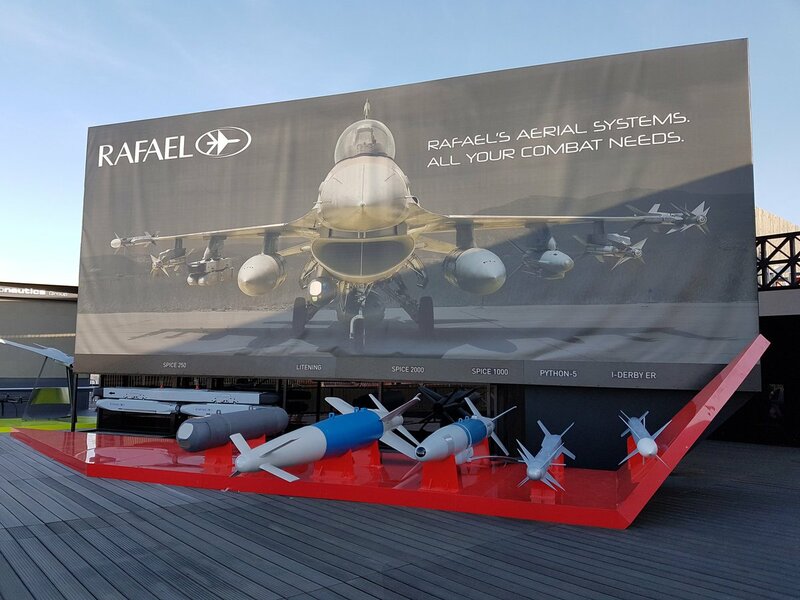 Es sollen CIAC (Corporación de la Industria Aeronáutica Colombiana) und andere kolumbianische Firmen beteiligt werden - wahrscheinlich werden die Flügel und Teile des Rumpfes der kolumbianischen Gripen im eigenen Land produziert (u.a. bei CIAC) und damit 3000 Arbeitsplätze für fünf Jahre gesichert. Zuletzt geändert von theoderich am 31. Jul 2017, 10:59, insgesamt 1-mal geändert. Wow. Genau darauf muss man als Einkäufer drängen. Der Anteil der Software in % des Gesamtwertes des Produktes nimmt zu, egal ob Kampfflugzeug oder Auto, das ist soweit allgemein bekannt. Sinnvollerweise braucht man nicht nur die Software im Flugzeug bzw im Wartungsequipment, sondern inklusive passender Software um den Code zu bearbeiten. Das ist oft alles andere als trivial weil dann Verschlüsselung eine Rolle spielt, man braucht passende Compilersoftware etc. Übrigens, gar nicht so selten ist so ein Code so komplex dass man selbst mit dem Quellcode kaum jemand etwas anfangen kann. Sprachen wie C++ oder Maschinencode können nur relativ wenige auf hohem Niveau, und sich in umfangreichen, evtl objektorientierten, Code einlesen ist selbst für gute Programmierer alles andere als simpel. Siehe das berühmte Beispiel von Bosch mit der Abschaltsoftware von VW. Jetzt ohne genauere Details zu kennen: Da würden 18 Maschinen etwa 2 Mrd. € kosten oder 110 Mio./Stück. Da waren unsere 18 EF (T2) noch ein Schnäppchen. Bis 2002/22 (angepeilter Beschaffungszeitpunk der SPÖ= werden sich der Preise noch sicher erhöhen. Außerdem steht scheinbar noch gar nicht fest, ob es einen Gripen F geben wird. Saab recently signed a contract with MBDA for deliveries of subsystems for the METEOR Beyond Visual Range Air-to-Air Missile (BVRAAM) missile system, worth approx. SEK150 million with deliveries to MBDA taking place 2020-2021. Sweden is working with France, Germany, Italy, Spain and the UK to develop and field METEOR, with MBDA as the programme’s prime contractor. This order from MBDA comprises deliveries of radar proximity fuze subsystems (PFS) for METEOR. PFS is developed and manufactured by Saab and integrated in all METEOR missiles, detecting targets and calculating the optimum time to detonate the warhead in order to achieve maximum effect. Gripen E flew supersonic for the first time last week. The flight was piloted by Marcus Wandt and all went according to plan. With introducing JAS-39C/D (EBS HU) Gripen fighter aircraft into the Hungarian inventory we didn’t simply purchase a new aircraft type but established a series of new capabilities that are part of the modern western war-fighting principles which NATO is counting and building on. Such capabilities are the effective Air to Ground attack and up-to-date Reconnaissance capabilities of the aircraft, the Link 16 Tactical Data-link System, the Litening III Targeting Pod, the precision-guided munitions systems, the Night Vision Goggle capability, the sophisticated Electronic Warfare System with the essential supporting analytical background and Air-to-Air Refuelling capability. In November 2012 Hungary signed the Letter of Interest (LoI) of EDA Multi Role Tanker Transport (MRTT) initiative – however did not join the efforts to establish the Pillar capability. The reason of our delay in developing this capability and later the limited participation was the lack of available pre-planned Hungarian financial resources dedicated to AAR. Since the present year on HUNAF has assigned additional funds committed to the aerial refuelling training. To support the Hungarian Gripen program a Foreign Military Sale (FMS) project was established with the US counterpart to provide funding for USAF tanker flight hours. That resource was used for the initial training and also for the follow-on currency Extension flights. HUNAF has greatly benefitted from the USAF aerial refuelling support provided by the 100th Air Refuelling Wing (ARW) at RAF Mildenhall, England11. For initial AAR training a KC-135 tanker aircraft has been deployed for a two-week mission to the Hungarian Gripen home base to provide training support. Most of our currency maintenance missions were also backed by the 100th ARW. We have initiated bilateral negotiations with partner air forces having compatible tanker aircraft with the purpose to sign MoU governing AAR cooperation. This is a still ongoing process. Based on the technical compatibility of tankers, or operating an identical aircraft type, the geographical location and historic military cooperation we consider the following nations as possible cooperating partners: Czech Republic, Croatia, France, Italy, Germany, Slovakia, Sweden and United States. Hungary is member of the ATARES12 program as well. In May 2016 Hungary hosted the semi-annual Movement Coordination Centre Europe (MCCE) AAR/ASM Operations Meeting in Budapest, offering excellent occasion to establish further professional relations. This meeting also highlighted the importance of ATARES – instead of money transfer the AAR and AT services are compensated among the nation in barter – flexibility, minimizing bureaucracy. MCCE regularly publishes the tanker flights available for AAR training. That is certainly a cost-effective and flexible way of organizing refuelling training. The other benefit is that through ATARES we have to reimburse services proportionally – only the share of flight time we used up from a particular tanker mission. In the current conditions this program can be one of the long-term solutions for HUNAF AAR currency maintenance. Although without external fuel tanks Gripen has only about 50% more range compared to the predecessor fighter aircraft, and by using drop-tanks that range could be nearly tripled, the possibility of in-flight refuelling virtually puts us in the prime league. Generally speaking, a typical fighter aircraft using external fuel tanks can stay airborne about 1-2 hours. With in-flight refuelling that endurance can be extended more than 5 times. The initial AAR training of the Hungarian pilots was covered by the Gripen Lease Agreement. To support our efforts SwAF provided experienced instructor pilots and a double-seat aircraft in order to complete the task as scheduled. That provided us the capacity to hook-up on tanker aircraft daytime in good weather conditions. Based on the conversations and continuous communication with the Swedish and Czech instructor pilots, the follow-on training has critical importance. Practical experience shows that only a relatively intensive practicing of AAR skills can get us to the next level, being capable of in-flight refuelling under more complex weather conditions and fulfil the mission in more stressful environment. Night contacts are currently not permitted due to the existing technical limitations of the aircraft. However, the technical and software modifications are nearly completed, and subsequently the night aerial refuelling capability will be available to all Gripen user nations that have ordered such updates. The original configuration of the JAS-39A/B Gripen aircraft had no AAR capability at all. The original Swedish homeland defence concept using the network of dispersed Forward operating bases and expecting relatively short missions did not need it. That requirement was added and introduced later in C/D variant. According to the original plan there was no AAR probe designed in the aircraft and it had to be added to the existing structure of the airframe therefore the manufacturer had only very limited options where to put and how to position it. Although Saab engineers did an excellent work on adding the retractable telescopic refuelling probe the best available location was far from the optimum place. Finally they have stuck it in the intake nacelle assembly, close to the root of the port canard. (Picture 2) This way the tip of the probe got way behind the pilot’s position, this way fading out of the peripheral vision and makes the actual contact “invisible” right in the most critical phase of the manoeuvre. Having only limited direct visual references the pilot can rely on the closure rate and attitude prediction making judgments based on his experience. Missed connections coupled with attitude or closure misjudgement and aggressive manoeuvring could easily lead to aircraft damage or ripping off the basket. Most common ones are the bruises and scratches on canopy, canard and fuselage. In case of serious mistakes the tanker’s drogue could cause serious damage on the receiver aircraft – subsurface damage in the canard structure, deep scrapes on canopy or even breaking off sensors and antennas or damaging the refuelling probe itself. (Picture 3) Such problems could lead to the need of changing these expensive parts causing the affected aircraft falling out of training or operations for a significant period. The imperfect location of the refuelling probe makes the in-flight refuelling Operation a difficult process that requires extensive flight experience from the pilots. That fact emphasizes that the systematic preparation including frequent periodical training flights are even more important for them. The Swedish and the Czech experience proves the logical presumption that more frequent training flights will result in less canopy and airframe damage and will reduce the Flight Safety risk level. The minimum currency requirement by the relevant NATO document (ATP-3.3.4.2) is set as a minimum of 3 contacts every 6 months. Initially, HUNAF planned to maintain aircrew currencies in accordance with the above mentioned STANAG. However, after evaluating national and other Gripen user nations’ in-flight refuelling missions the real life experience proved that due to the probe location it is recommended to do training flights more often, at least one training sortie – with multiple contacts – every 3-4 months. Another flight safety problem is the extended flight capability itself, provided by AAR. In the past, HUNAF had no experience in long endurance flights with fighter jet aircraft. The previous types had some limited possibility to extend range and/or endurance using external tanks but that did not provide a “quantum leap” in that area. We consider this issue a significant matter that requires special attention. During the discussions with foreign subject matter experts we mapped up the critical aspects that has to be considered for the future planning and research. In preparation for the AAR training and in support of fighter deployments we introduced training missions connected with hot refuelling – refuelling on ground with running engine and pilot in cockpit. Those flights provided similar workload and time period spent in Cockpit on one sortie as the AAR sorties and this way we can gain initial experience for a deeper analysis of the problem of long-term workload in a very compact cockpit. In the future we might also face the necessity of extreme long endurance flights. Those conditions require special arrangements and care for the pilots involved regarding the area of metabolism. Providing fluid and nutrition/food supplies (energy replenishment) and handling organic waste substances are also critical issues. Maintaining the awareness and alertness of the aircrew during the whole flight is another area of concern. Certain nations have detailed guidelines to regulate this area. We still have an ongoing debate regarding the acceptable methods and risks in different possible solutions. Until we can establish own tanker capacity operational and training missions we have to create financially sustainable international cooperation. We need to benefit from sharing experience and sharing resources – that is the point of Smart Defence and Pooling and Sharing concept. For that kind of collaboration the ATARES program is an excellent example. We have to create new bilateral agreements and maintain the cooperation with USAF by extending the existing FMS project. Another possible way of keeping the currency alive is the regular participation in international exercises and joining AAR scenarios, fly realistic missions. That practice is also needed to get our aircrews used to performing in-flight refuelling in assigned, strictly controlled time-window, under operational pressure. Hungary launched an auction process on 25 October to sell 23 decommissioned MiG-29 aircraft, complete with engines, at a starting price of HUF4.8 billion (USD18 million). The auction includes 20 spare engines, an unspecified number of missiles integrated into the MiGs, and 1,251 spare parts. Bidding will be conducted on 14-16 November. The transaction must be approved by Russia. The aircraft last flew seven years ago and their state is unknown. Some of the MiG-29s were seen stored under the open sky for years at Kecskemet Air Base. Of the 23 aircraft on sale, eight were unsuccessfully auctioned in 2011.